Earlier this week, Japan released its annual defence white paper. 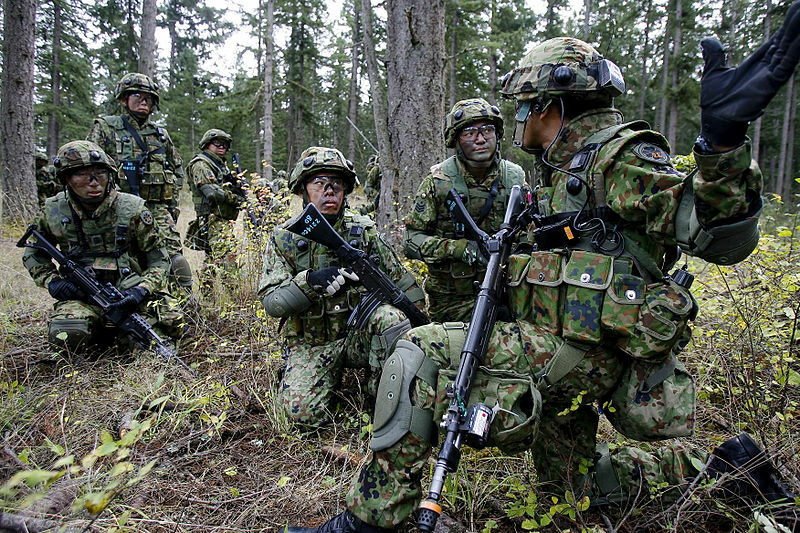 It comes amidst a number of initiatives by Prime Minister Shinzo Abe to adjust Japan’s defence policy, including most recently a reinterpretation of the constitution to allow the Japan Self-Defense Force (JSDF) to exercise the right of collective self-defence. In light of Abe’s visit to Australia last month and the agreement to enhance bilateral defence cooperation, it’s worth analysing this document. Overall, the white paper reaffirms both the Abe government’s increased concern about China’s strategic trajectory and changes to the JSDF’s force posture already announced in other documents after Abe’s re-election in December 2012. The 2013 defence white paper was already noteworthy for its harsher tone against China. The new version argues that ‘security issues and destabilizing factors in the Asia-Pacific region including the area surrounding Japan are becoming more serious.’ It directly criticises China’s establishment of an East China Sea Air Defense Identification Zone (ADIZ) in November 2013 as a ‘profoundly dangerous’ act designed to ‘unilaterally change the status quo in the East China Sea’. For the first time it also mentions the problem of ‘gray-zone’ situations which are ‘neither purely peacetime nor contingencies over territory, sovereignty and maritime economic interests’—another reference to China’s low-level maritime coercion activities in the East and South China Sea. The Maritime Self-Defense Force (MSDF) Navy is set to acquire 23 new P-1 long-range maritime patrol aircraft to replace the existing P-3C Orions. A further aim is to increase the number of destroyers from 48 to 54. The new destroyers will be smaller, more modular and fitted with minesweeping equipment. At the same time, the number of minesweepers will be reduced by 25%. There will also be ballistic missile defence (BMD) software upgrades for the two Aegis destroyers of the Atago-class as well as acquisition of two more ships, bringing the BMD-capable destroyer force to eight. The submarine fleet is to increase from 16 to 22, as announced in 2010. The Air Self-Defense Force (ASDF) will deploy more F-15 fighters closer to the disputed Senkaku/Diaoyu Islands and will double its Airborne Early Warning Squadrons. It will also expand the number of fighter squadrons, not least through the acquisition of 42 F-35A Joint Strike Fighters. The Ground Self-Defense Force (GSDF) will continue its build-up of an amphibious brigade around the Western Army Infantry Regiment. It will acquire new amphibious assault vehicles as well as 17 V-22 Osprey tilt rotor aircraft. Moreover, the GSDF will further reduce its number of tanks, invest in a new mobile combat vehicle and establish coastal observation and area security units through the Ryukyu Islands. Finally, Japan will also develop nine anti-ship missile companies which could be forward deployed. The 2014 defence white paper confirms all of those defence equipment plans. So, what does it all mean? 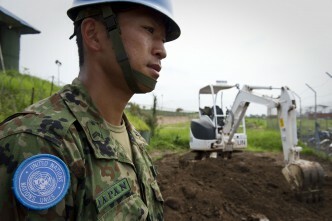 Under Abe, Japan continues to modernise what is fundamentally still a defensive military posture. It’s about making the JSDF more mobile and resilient in the defence of the archipelago whilst remaining predominantly in a supporting role to US forces based in Japan. In this context, analysts have rightly noted (here and here) that the recent move towards exercising the right of collective defence came with major caveats. Essentially, it’s about allowing the JSDF to support its US ally helping to defend Japan against a major military threat. Moreover, it’s still far from clear whether the JSDF will be able to meet the new white paper’s ambitions. One structural impediment is the defence budget. 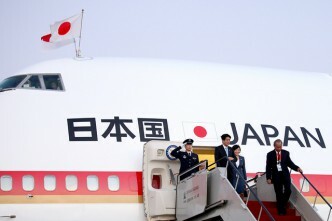 This year, Japan will spend about US$ 46.9 billion—a growth of 2.2% compared to 2013. Yet, that’s still well below spending in the early 2000s. And a look at the budget breakdown reveals that rising personnel costs, life-extension programs, and upgrading facilities absorb a large part of the budget. 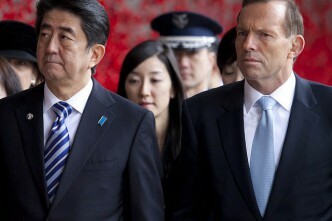 If Japan’s economic problems continue more money for defence is hardly likely to be forthcoming. Even more important is that Abe is fighting an uphill battle in his attempts to initiate lasting change in Japan’s defence policy. As Brad Glosserman points out, the public seems largely sceptical about his vision for a Japan reasserting its power, being content with the current process of ‘decent stagnation’. 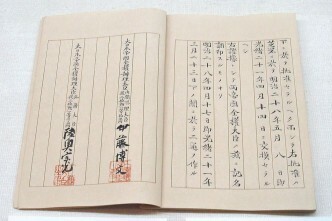 In this context, a recent opinion poll revealed that an overwhelming majority of Japanese are still unclear as to why the government decided to reinterpret the constitution in order to exercise the right of collective self-defence. 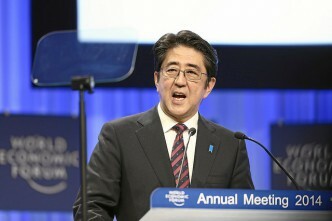 Abe will need to secure another term in office if he hopes to lock-in his changes. Even then, barring a major external shock, Japan’s defence policy will remain fundamentally defensive. Benjamin Schreer is a senior analyst at ASPI. Image courtesy of Wikipedia.